This spacious 2-story 6BR/3.5Bath house will not dissapoint. 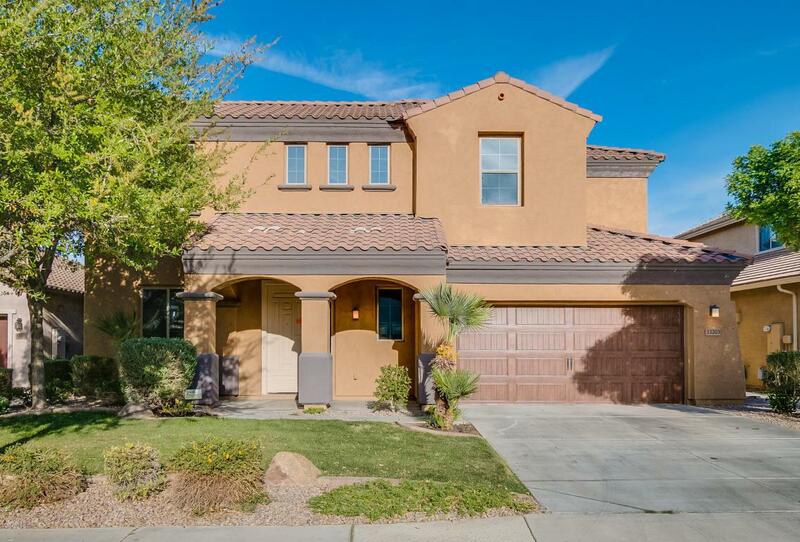 Tiled entryway leads you to a large living room providing access to your own private desert oasis including swimming pool, sitting area and covered patio. Back inside you will find a chef's kitchen with gorgeous dark cabinets, granite countertops, wood flooring, walk-in pantry and dining area. The family room boasts a beautiful fireplace, built-in nook for your entertainment system and wood flooring. A den and half bath complete the lower level. Upstairs you will find a loft area and laundry room. The Master has an accent wood wall and a ensuite boasting separate shower and tub, tile, dual sinks and walk-in closet. Do not miss out on calling this place home! Cross Street Hunt Hwy/Mountain Vista Blvd.